In China, there is a popular saying about the qualities of white tea: The first year it is a tea, the third year it is a jewel, come the seventh year it attains medicinal qualities. Aged white tea has become one of the most highly sought-after teas in Asia. The twisted silvery leaves, covered with down, offer a sweet date and rose flavor. 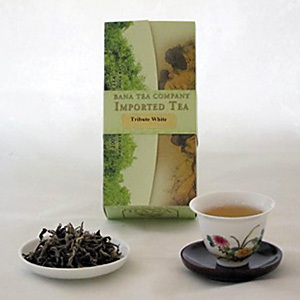 Delicate but full-bodied, this older white tea is more complex and more comforting than the newly made white tea. If you are searching for a soft and delicious tea, this is the right one for you. Use 5g of leaves per 6 oz of water. Rinse with boiling water (212 degree F) prior to brewing. Start brewing by following the suggested steeping times below. Adjust to suit your personal preference and the size of your brewing vessel.